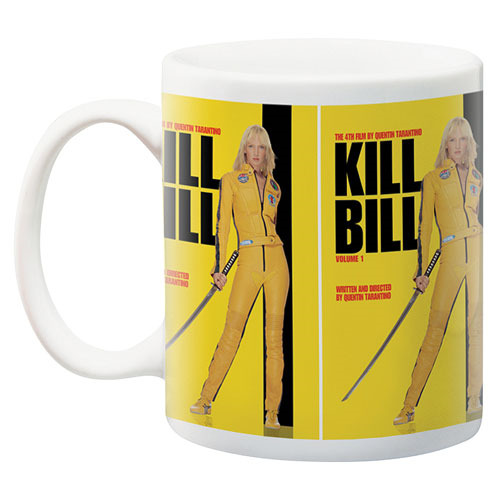 Share your morning with one of pop cultures most beloved movies, Kill Bill! This Kill Bill Poster 11 oz. Mug will kick off your day in a big way! Hand wash only. Not dishwasher safe. Do not microwave. Ages 14 and up.